Russian race walker Pyotr Trofimov has been handed a four-year ban after a ruling by the Court of Arbitration for Sport (CAS). The 33-year-old has been sanctioned over irregularities in his biological passport, according to the Russian Athletics Federation. He is now set to serve a ban from November 3 of last year through to November 2, 2020. Trofimov's results between August 13 in 2009 through to May 13, 2013, will be cancelled. He was the winner of the men's 20 kilometre race walk at the Russian Championships in Sochi last year, triumphing in a time of one hour, 22min and 6sec. His sanction provides further embarrassment to Russian race walking, which has already been hit by numerous scandals. More than 25 leading Russian walkers have been banned in recent years, including three Olympic champions. London 2012 50km walk winner Sergey Kirdyapkin, Beijing 2008 women's 20km gold medallist and London 2012 silver medallist Olga Kaniskina and Beijing 2008 men's 20km winner Valery Borchin have all been sanctioned. 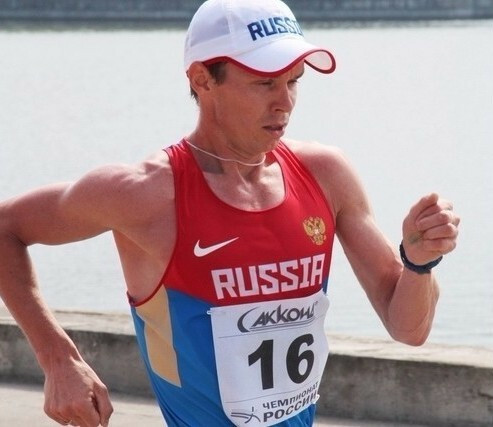 Others banned in January included Sergei Bakulin, the 2011 world 50km champion, and 2011 world silver medallist Vladimir Kanaykin, now banned for life. As these investigations continued, only one Russian race-walker was entered for the 2015 World Championships in Beijing. The lone entrant, Alexander Yargunkin, ultimately did not compete after reportedly testing positive for EPO. He was handed a four-year ban from athletics in January. Another race walker, Stanislav Emelyanov, was given an extended doping ban last month following a second positive test. He has been banned for seven years. Emelyanov had previously been stripped of the 20km title he won at the European Championships in Barcelona in 2010. He was sanctioned by CAS, along with a senior Russian coach. The CAS has been ruling on cases from the country due to the current suspension of the Russian Athletics Federation by the International Association of Athletics Federations (IAAF), amid the wider doping scandal.